Today, let me dazzle you with the stunning lights on Opera House during Vivid 2014 - a festival of lights. The light show sequence goes on for about 15 to 20 minutes before repeating. I would just stand there and watch, again and again, amazed by the splendour of lights. I think the Sydney Opera House is a striking piece of architecture and the light show just makes it even better. Beautiful photos. That is really an amazing set of pics. It really looks like a giant pirate ship racing through the night. wow! such a beautiful show of lights. loved it! I'm loving your pictures, they're beautiful. I hope to visit Australia someday. Will they do it again this year? I would love to see this. I though the Opera house was amazing on a regular night. 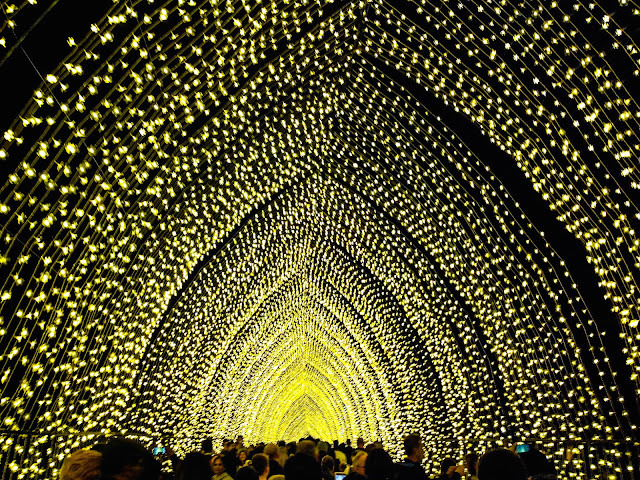 Your photos make me want to go and check out Vivid. I've never seen it because I am not a fan of the crowds.